London: Sterling bounced a quarter of a per cent on Tuesday after two Euro-sceptic lawmakers indicated they could agree to support British Prime Minister Theresa May’s EU withdrawal deal rather than risk the UK parliament cancelling Brexit altogether. The comments follow Parliament’s move to wrest control of the Brexit process for a day. Its action has raised expectations that lawmakers can end an impasse on Britain’s European Union exit, with the possibility of a longer Brexit delay or a second referendum. Jacob Rees-Mogg, the leader of a Euro-sceptic faction of May’s Conservative Party, hinted he could scale back opposition to May’s deal which has already been crushingly rejected twice by lawmakers. Passing the deal would rule out the risk of leaving the EU without any transition arrangements. The pound, which had languished mostly in negative territory below $1.32, rose 0.3 per cent to as high as $1.3251 after Rees-Mogg’s comments. Against the euro it firmed 0.4 per cent to 85.43 pence “Comments by Jacob Rees-Mogg show he is formally acknowledging he may accept May’s deal,” MUFG strategist Lee Hardman said. The pound is unlikely to rally much further, however. May has stressed she will not implement any Brexit proposal that breaks her pledge of a clean break with the EU. That means she could call an election, an outcome also favoured by the opposition Labour Party. Bookmaker Ladbrokes has slashed the odds of a June election to 7/2, from 6/1 before Monday’s vote in parliament. “The key question will be whether MPs can rally together and agree on a majority out of the several options that will be presented. Even if there was a majority formed, it is unlikely to be implemented by Theresa May at this stage,” said Mohammed Kazmi, portfolio manager at UBP. 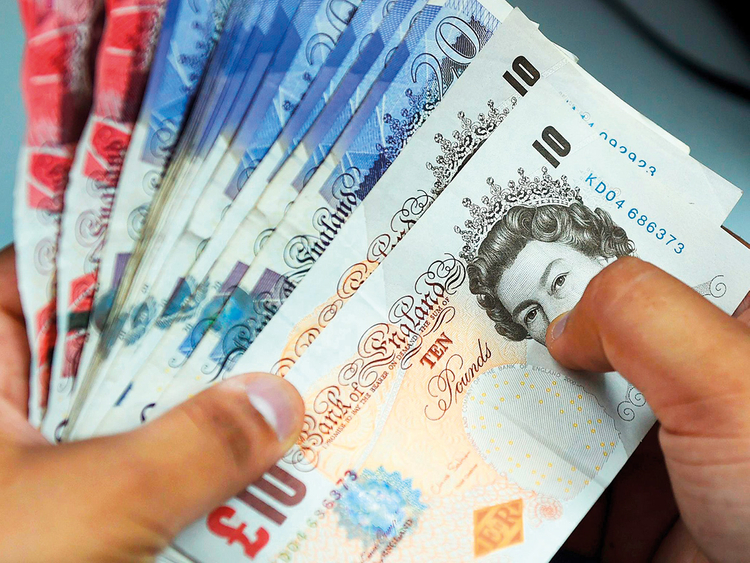 The muted sterling reaction to Monday’s vote was because of “the possibility of a longer extension to Article 50 and general elections taking place,” Kazmi added, referring to the Brexit negotiating period. Implied volatility — a gauge of expected swings in the currency — eased a touch, however, though the one-month contract, encompassing the crucial April 12 new date of Brexit, is close to three-and-a-half month highs hit on Monday. The premium for options which protect against sterling losses over gains against the dollar — risk reversals — touched their highest levels late on Monday since just after the 2016 Brexit referendum. “Currency markets are not going to boost GBP significantly until no-deal risk is dealt with,” said Jeremy Thomson-Coo, head of currency strategy at WorldFirst Meanwhile data highlighted the toll the prolonged uncertainty is taking on the British economy, with banking industry group UK Finance reporting mortgage approvals at the lowest level in almost six years. The run of weak UK data, together with a general lurch towards dovishness by the US Federal Reserve and other central banks, have seen money markets almost price out any chance of a Bank of England interest rate rise in 2019, another factor that’s likely to pressure sterling. These factors have pushed yields on 10-year British government bonds well below 1 per cent, the lowest since September 2017.